In 1979, as Jazz-funk descended into elevator music - some say it always was - Sonny Rollins live at Montreux was broadcast by the BBC throwing me a welcome lifeline in Jazz. Some followed the demise all the way to smooth Jazz but others leapt on to the acid/Jazz/dance scene, modelled on Northern Soul from whence many of the DJs had evolved, and making heroes of artists like Mark Murphy and Houston Person, while relegating Miles and Trane to one hit wonders (Milestones, Mr PC respectively) and ignoring Satch, Duke and Bird altogether. Latin Jazz, specifically from Brazil, found favour within the higher echelons of the scene, based largely on The Girl from Ipanema by Getz/Gilberto. It turned out that Major Lance, the King of Northern Soul, was the second most successful soul act to come out of Chicago in the sixties and similarly, Girl from Ipanema is the second most covered song in the world, ahead of Summertime, though it's unclear whether Editor Lance has asked for a recount. In the spirit of inclusivity, any and all Brazilian music is classed as Jazz, but much of this album says to me 'folk music', and I'm fascinated to read in the notes that Paula Santoro is a 'blend of Jazz and Brazilian Popular Music' (with a background in progressive rock). To me, it fits more snugly into another Western construct, 'World Music' which includes any music that isn't almost entirely influenced by the British and American hegemony, with no consideration of whether the music is deemed classical, folk or popular within its own culture. The album begins in upbeat fashion with Sereia and I can imagine it a dance-floor hit in places such as Newcastle’s Hoochie Coochie. 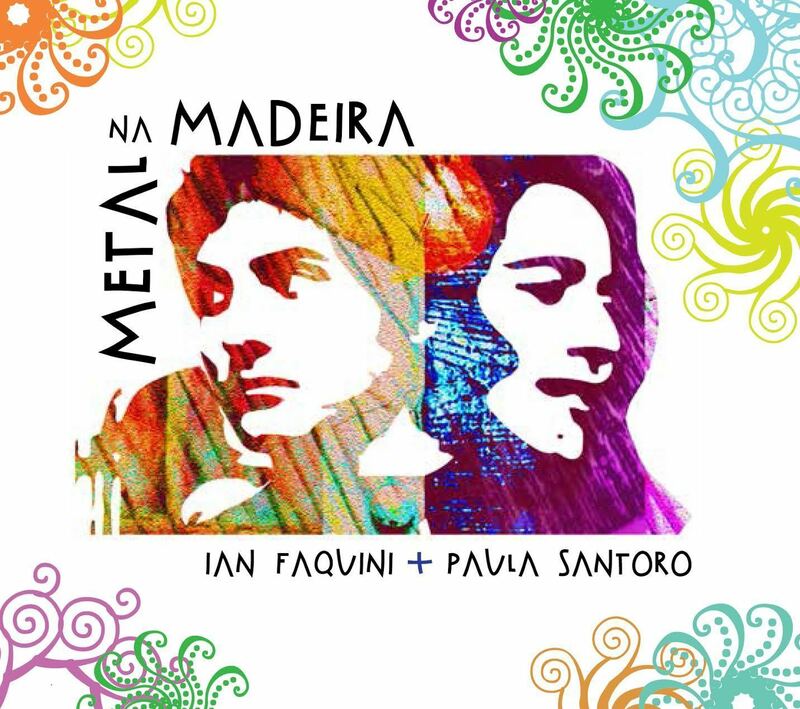 The next three tracks are slowed down, more melody led and perfectly suited to Santoro’s luminous voice, climaxing in the sublime Vasta Ilha with only her deep, expressive vocals, acoustic guitar and light brushwork. The title track picks up the pace again with busy horns, backing vocals and short solos on soprano and trombone, before a return to the small group format of singer and guitar on one, adding accordion on another, clarinet on another and bass and drums on another. For once I even like the accordion which seems more 'organic' in this setting and not just present for novelty value as it so often is. And I'm pleased to say the song, like all the songs on the album, is sung entirely in Portuguese. When I saw Ed Motta and Gilberto Gil at Sage Gateshead and when I play music for my best man’s Brazilian wife, I'm always struck by how everyone knows all of this music which is largely a mystery to Western ears and can sing along to all of it, but there's also enough here to appeal to a Western audience with a penchant for Latin Jazz, World music, South American folk or Brazilian pop. It's already available on Ridgeway Records Rising Stars. 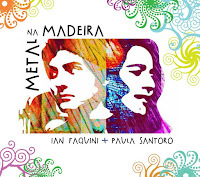 Paula Santoro (vocal), Ian Faquini (acoustic guitar, vocal). Rafael Barata (drums, percussion), Scott Thompson (bass), Vitor Gonçalves (accordion, Rhodes), Harvey Wainapel (alto sax, clarinet), Jeff Cressman (trombone), Spok (soprano, spoken word), Sergio Krakowski (pandeiro), Vivien Monica Golcwajg, Sandy Cressman (backing vocals).